The Bay of Bengal lies to the south west. 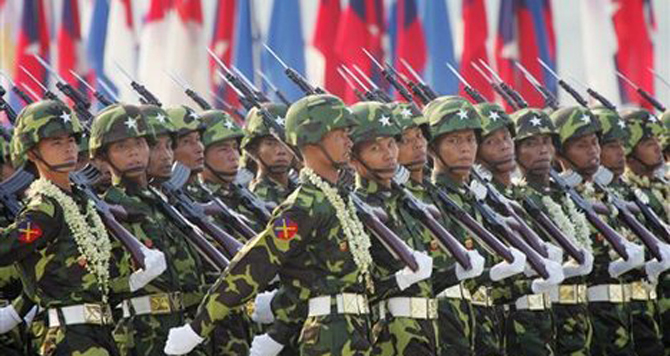 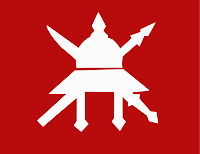 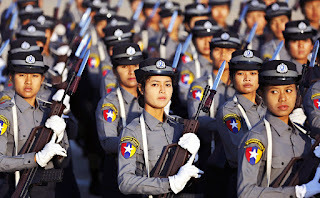 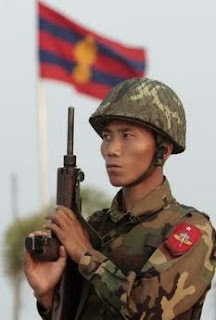 Myanmar shares a large border area with numerous nations. Elections held in 2011. 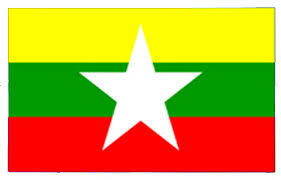 President elected. 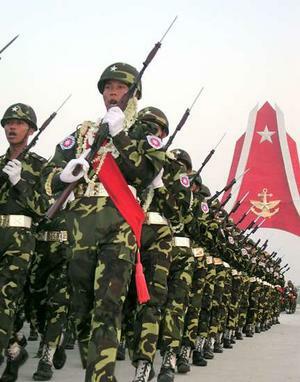 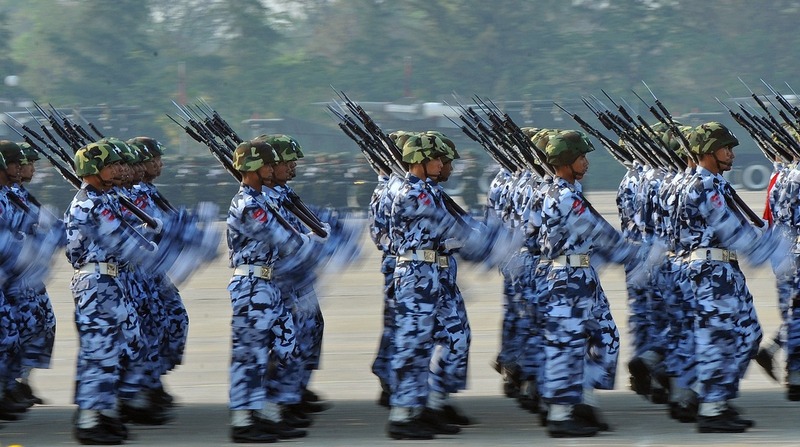 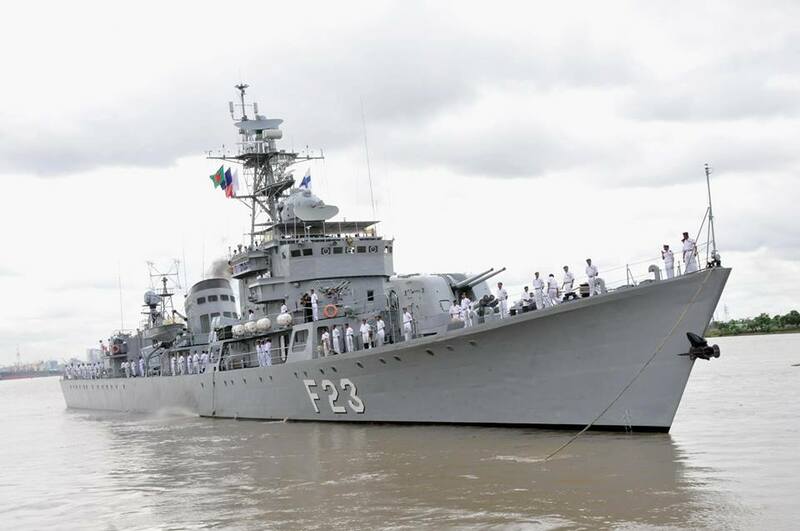 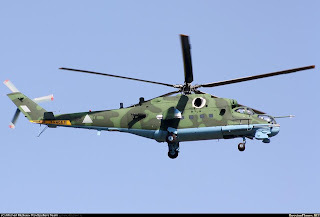 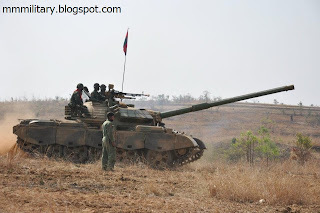 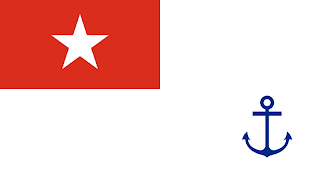 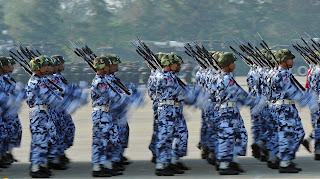 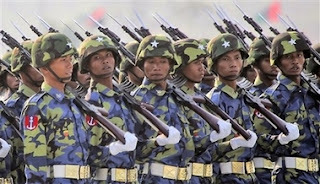 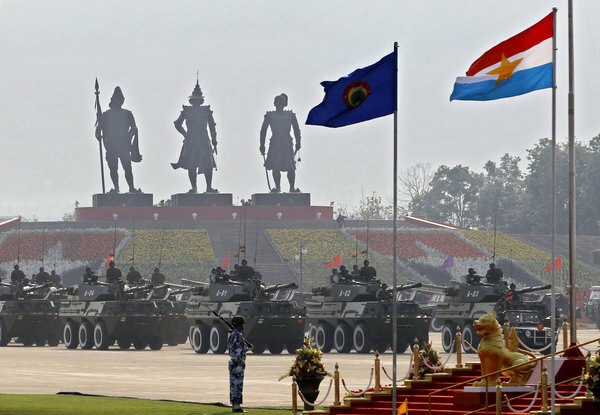 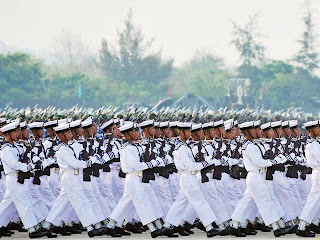 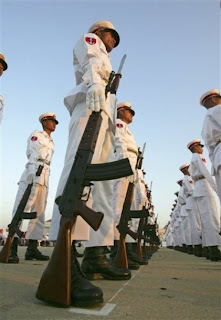 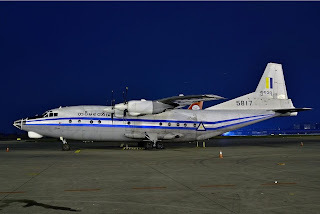 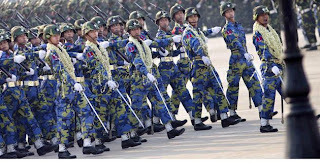 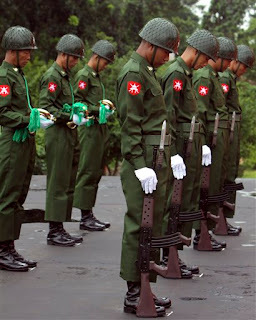 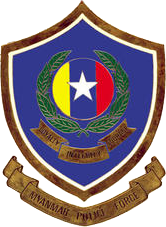 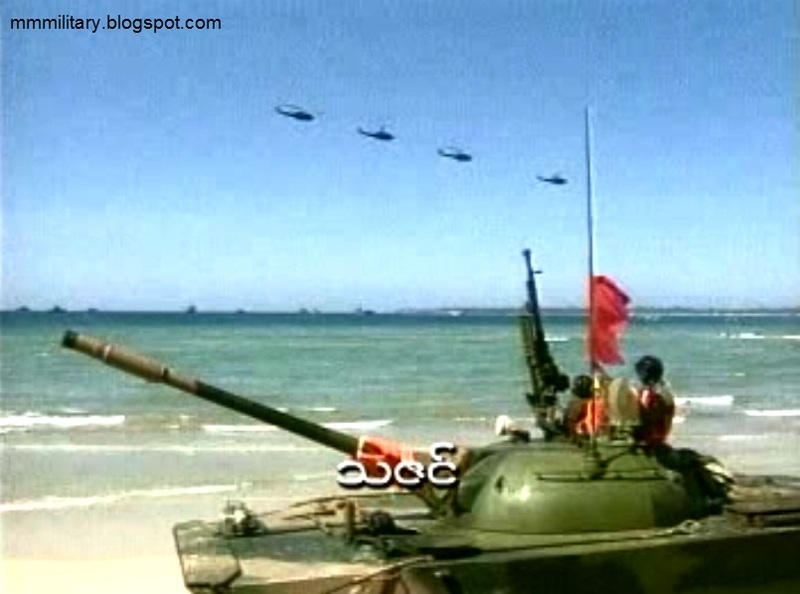 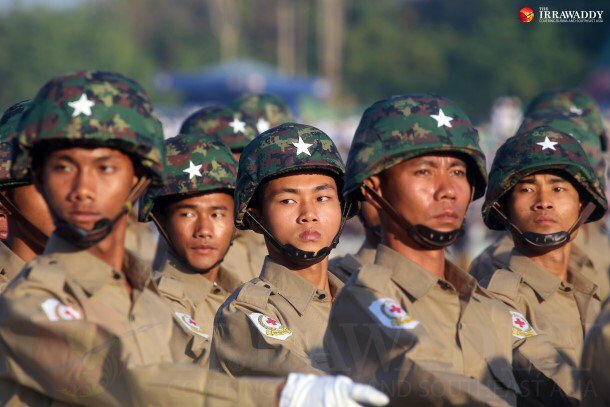 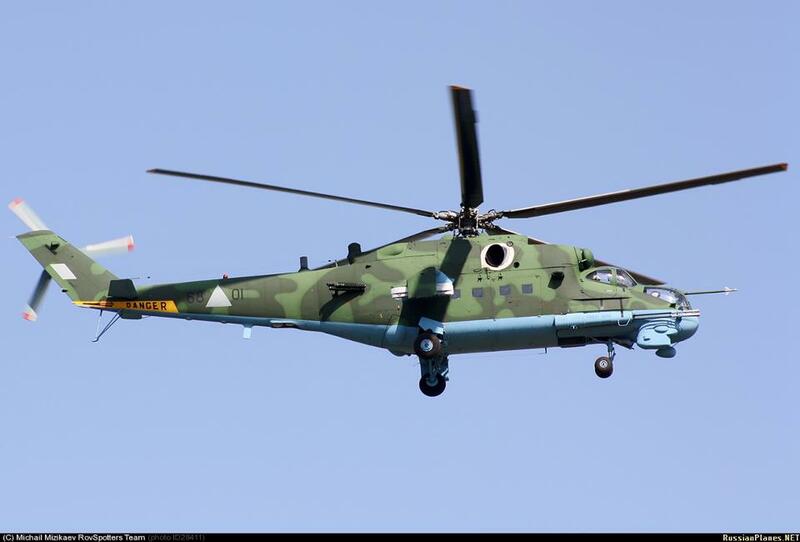 The military junta was called State Law and Order Restoration Council (SLORC) from 1988-1997, and from the State Peace and Development Council (SPDC) from 1997-2011. 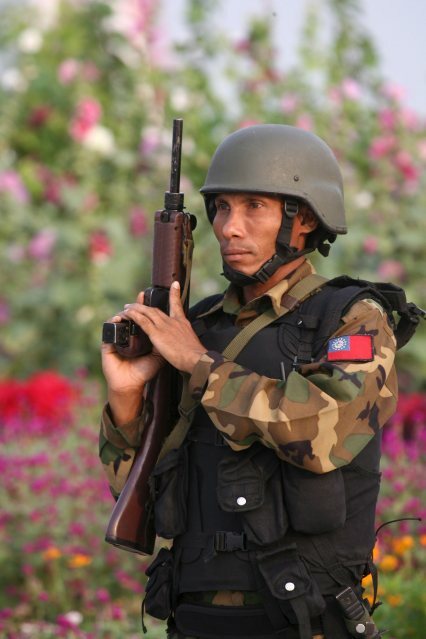 Tourism and drug trafficking based economy. 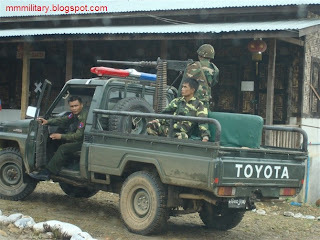 Large opium growing areas. Government and ethnic guerrilla forces involved. 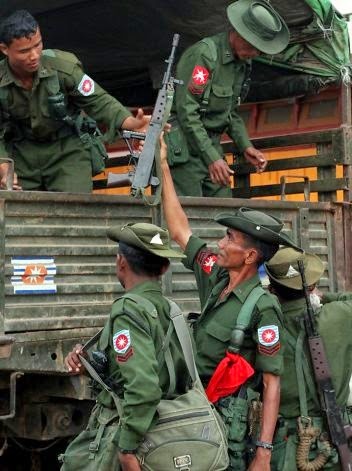 Guerrillas from various ethnic groups use other nations as safe havens. 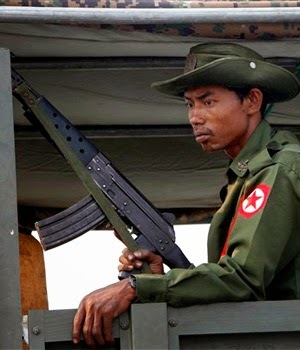 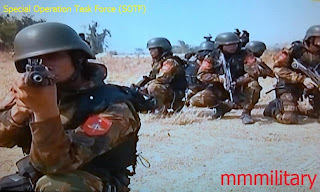 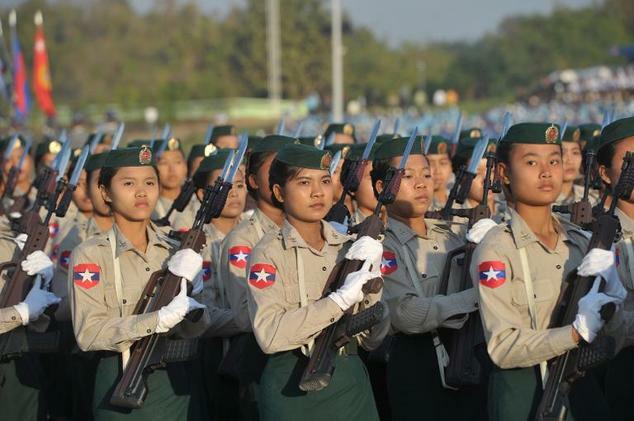 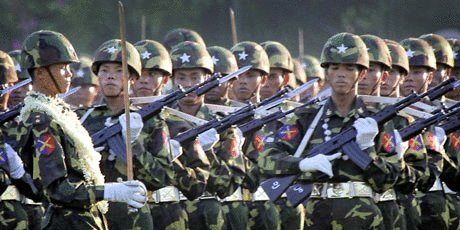 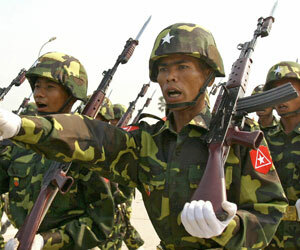 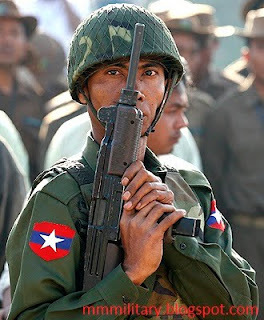 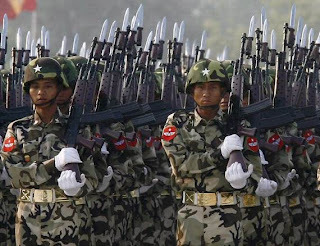 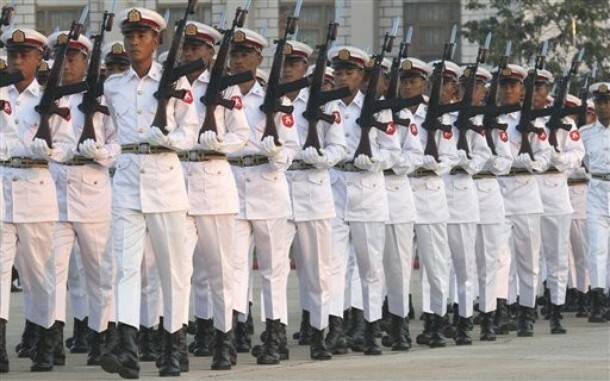 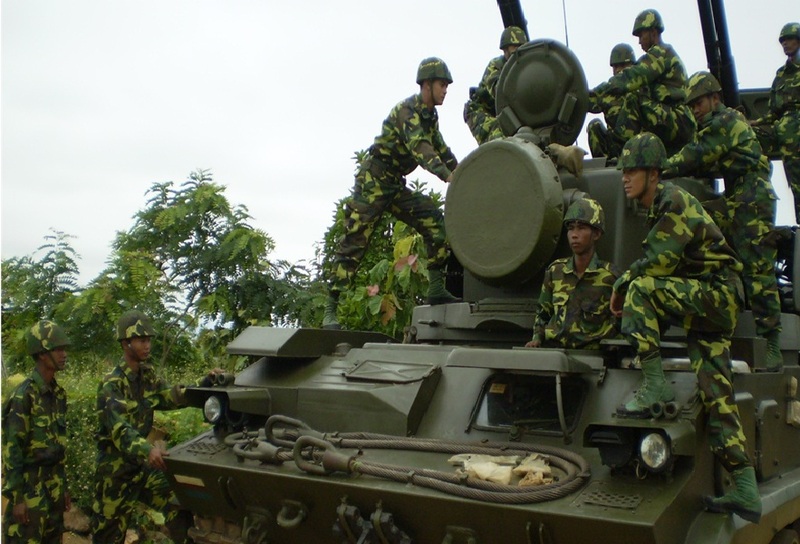 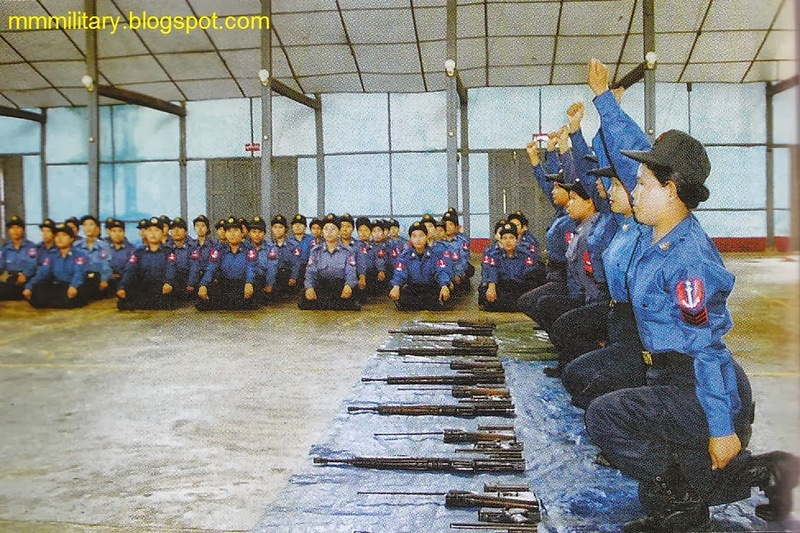 Many of the ethnic guerrilla groups have secret training camps in the various countries that border Myanmar. 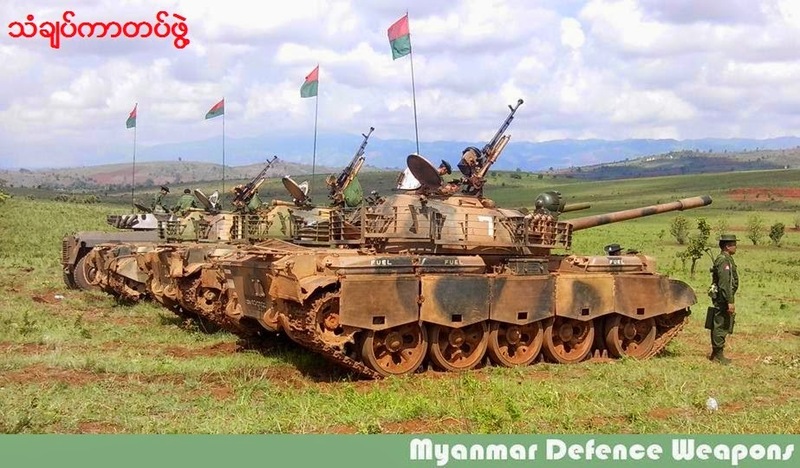 North Korean engineers helped the government of Myanmar in the construction of a large underground tunnel complex. 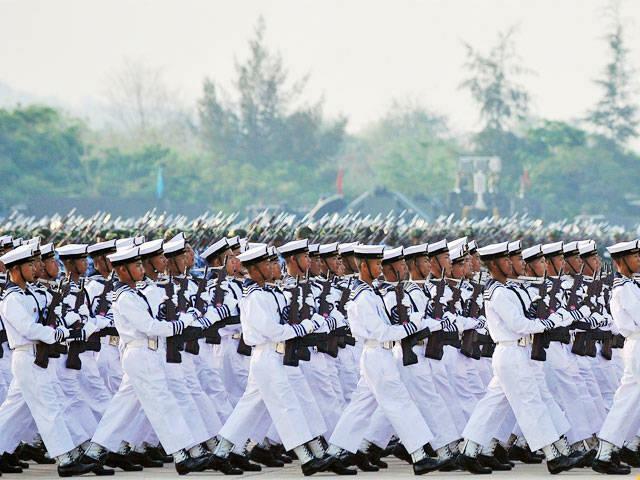 Many technical advisers. 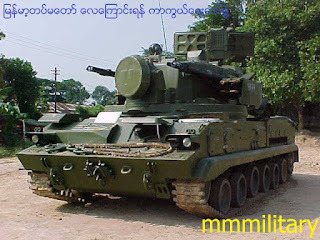 Type 62 light tanks (105)? 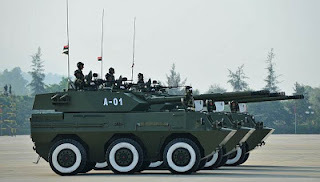 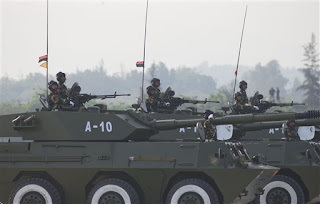 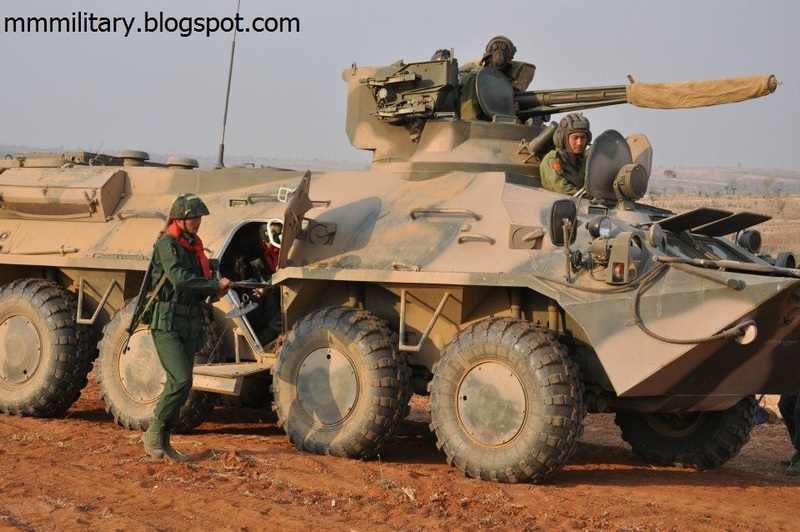 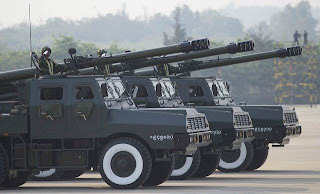 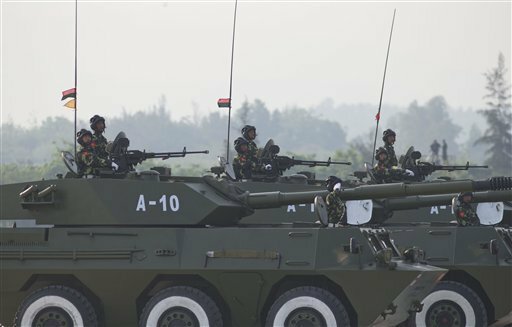 PTL02- Chinese made 6x6 wheeled tank destroyers with 100mm guns. 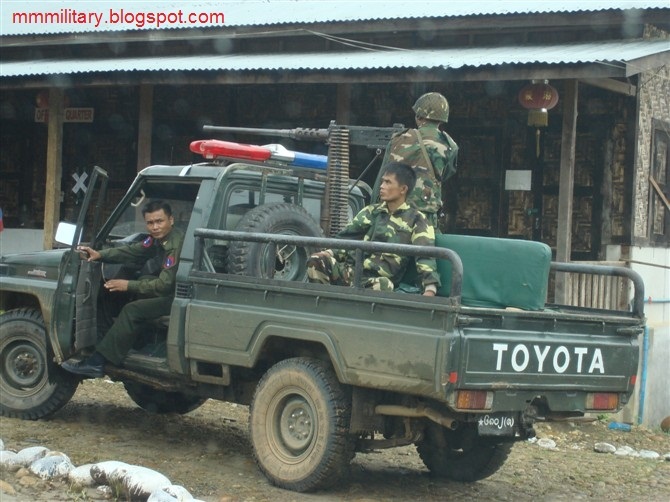 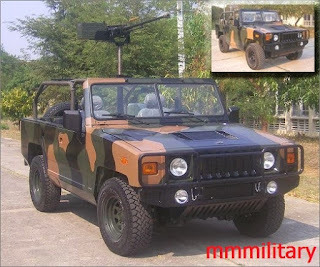 Naung Yoe 4x4 utility vehicles. Made in Myanmar. 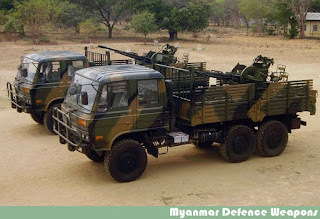 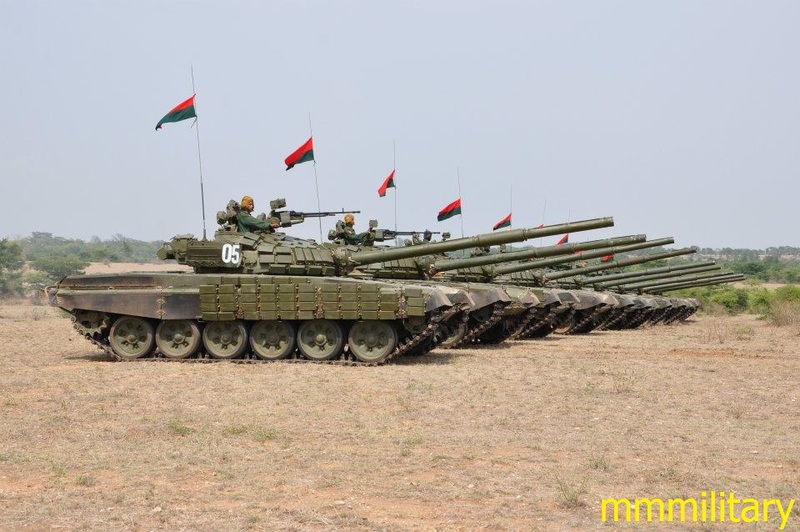 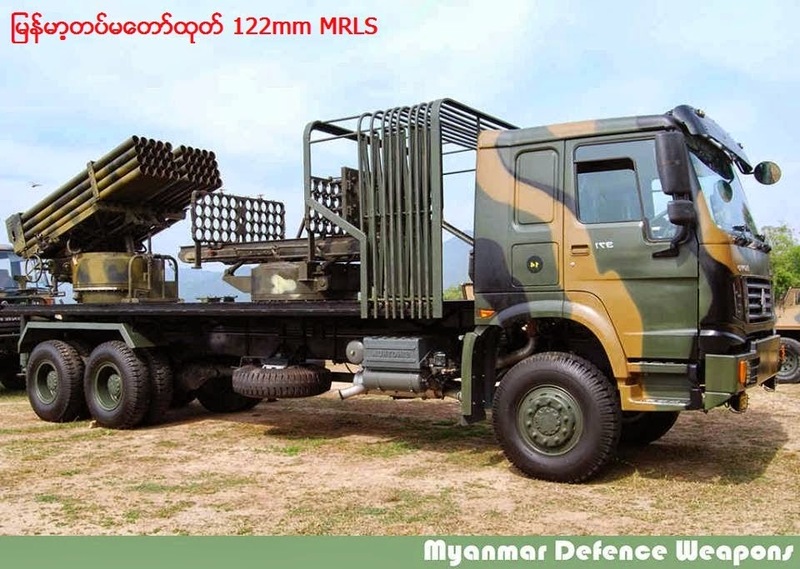 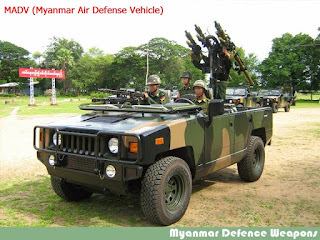 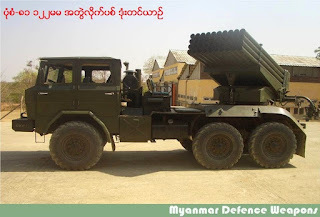 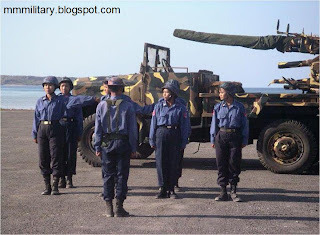 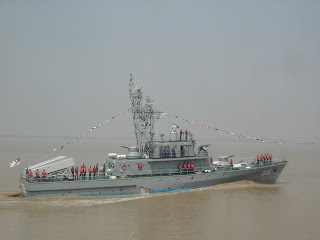 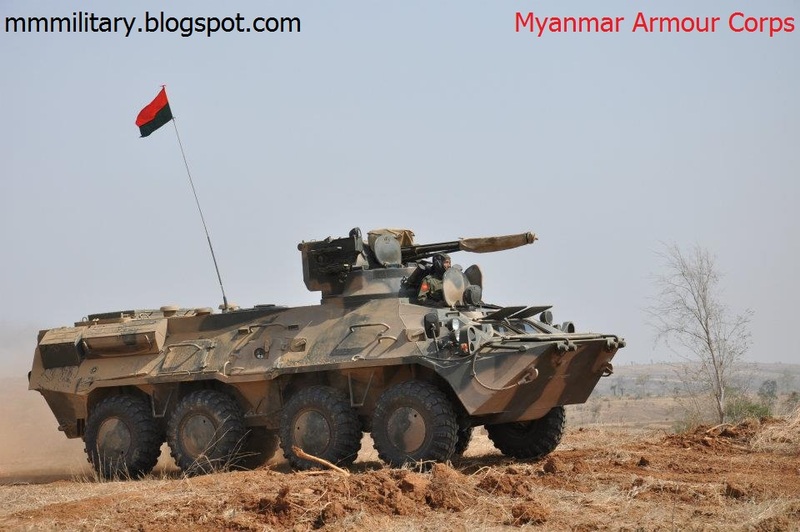 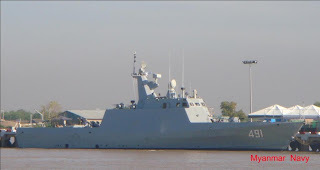 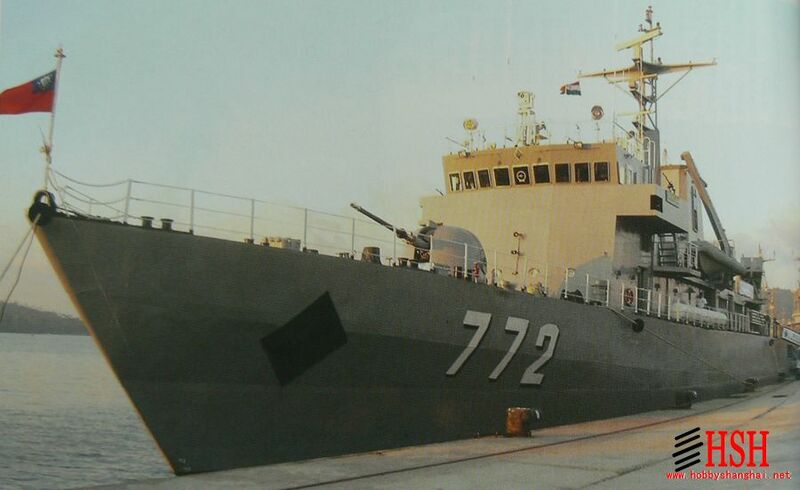 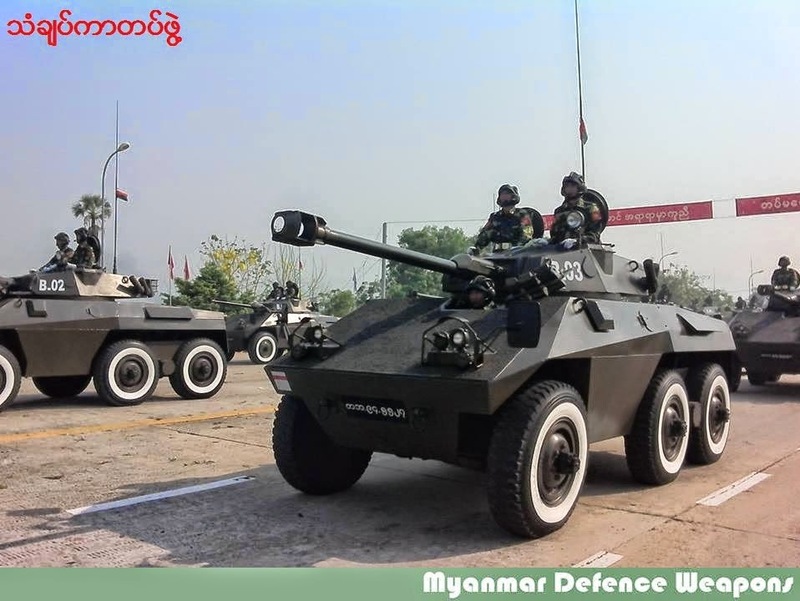 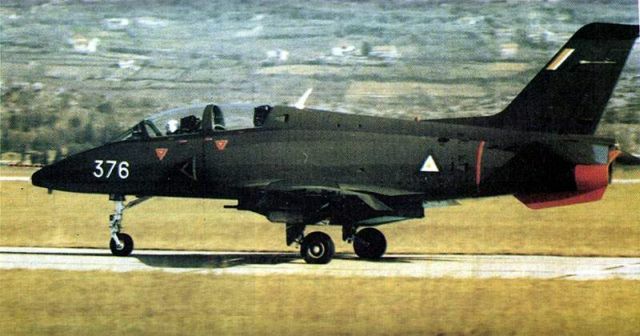 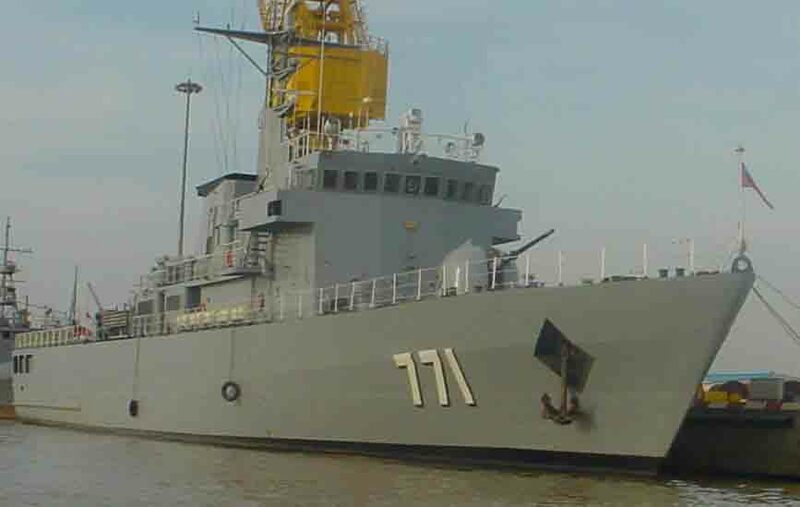 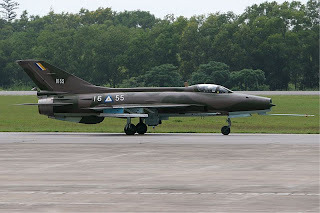 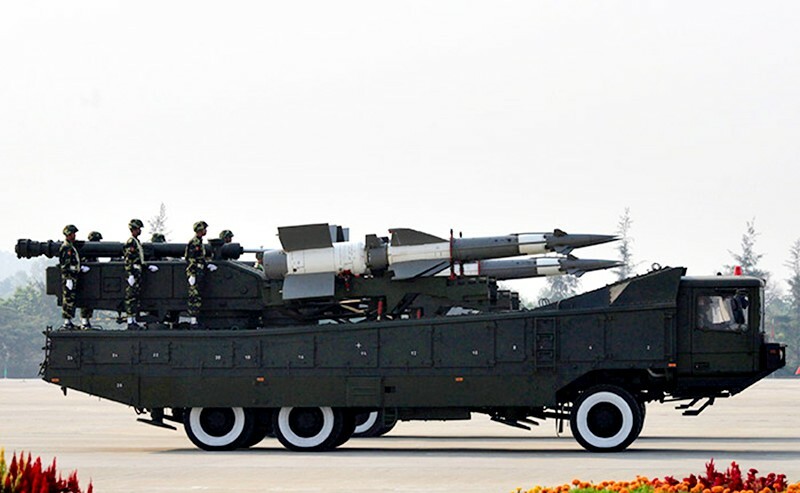 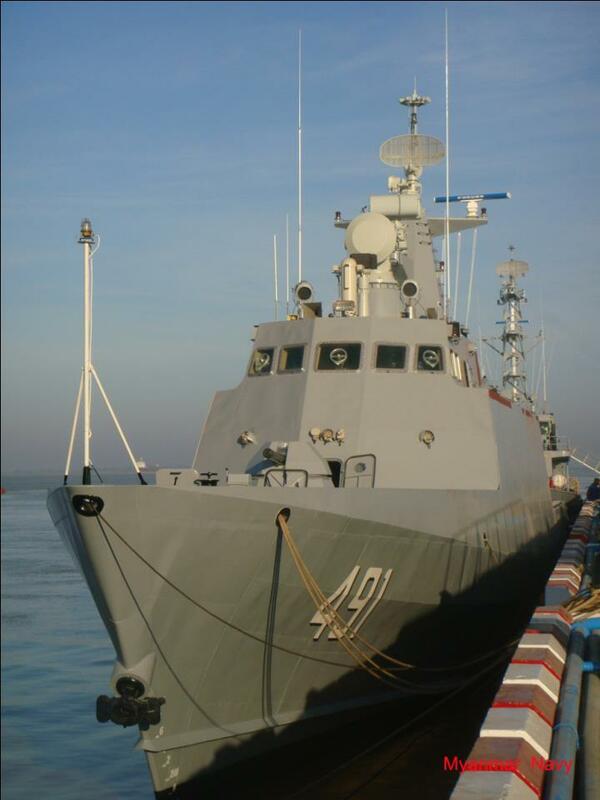 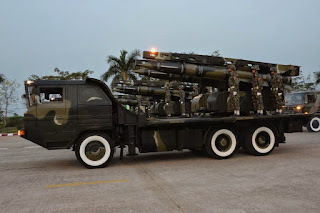 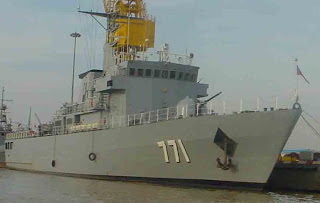 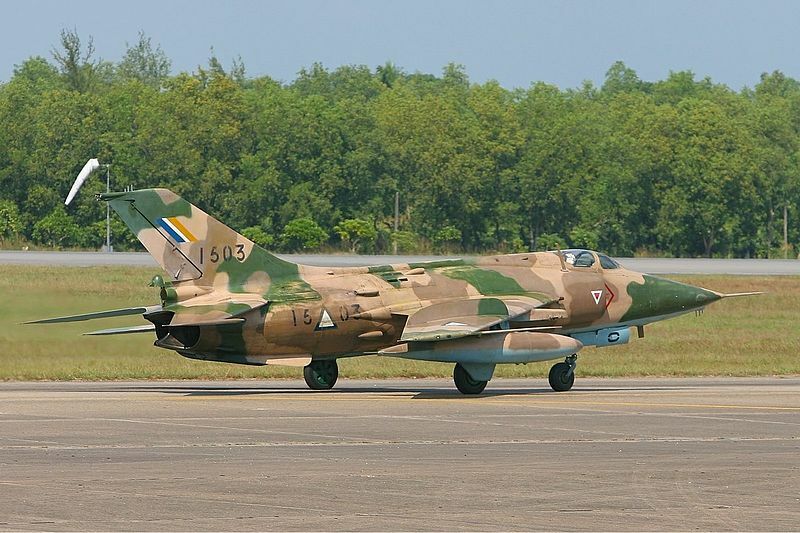 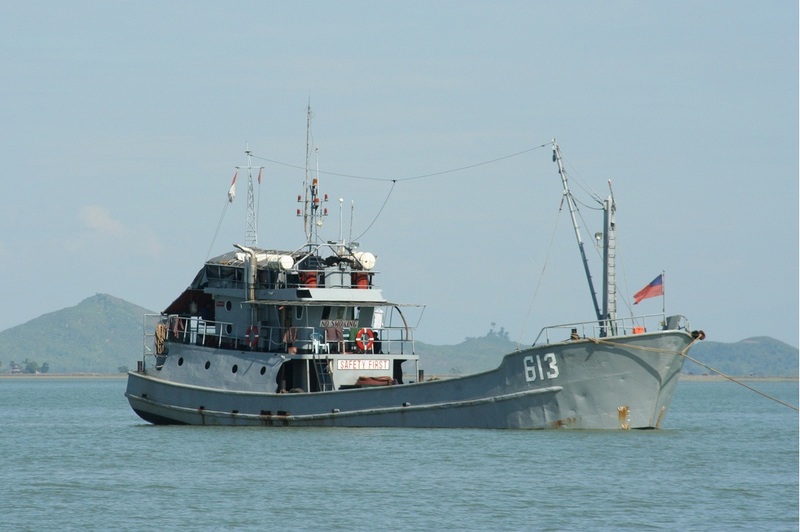 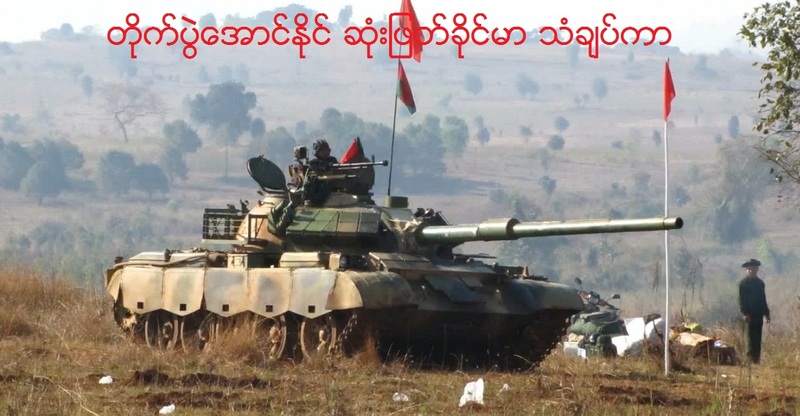 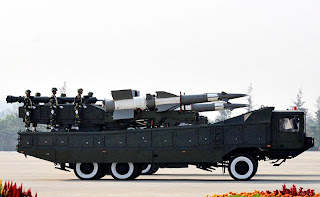 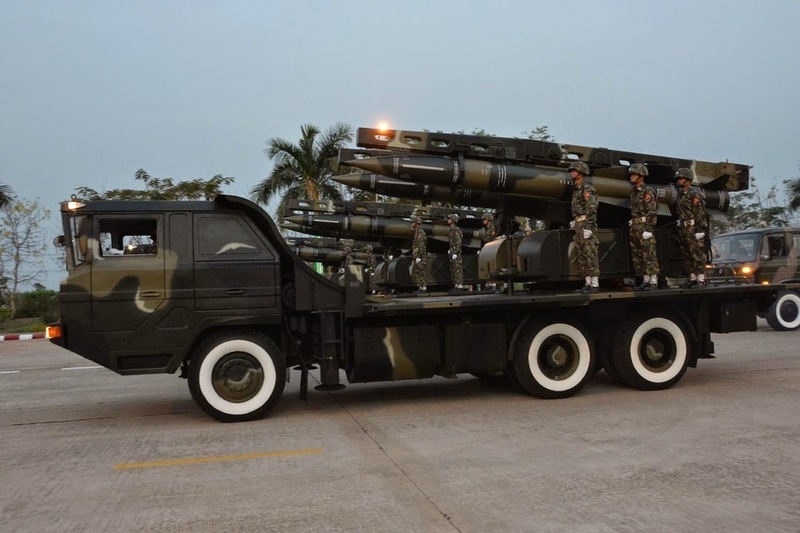 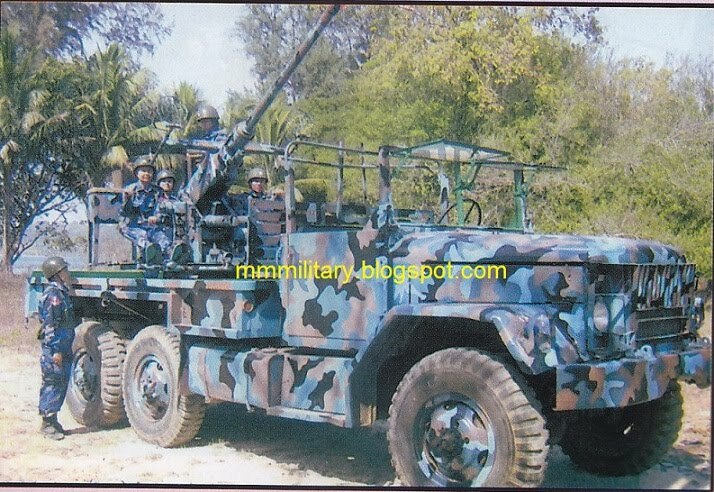 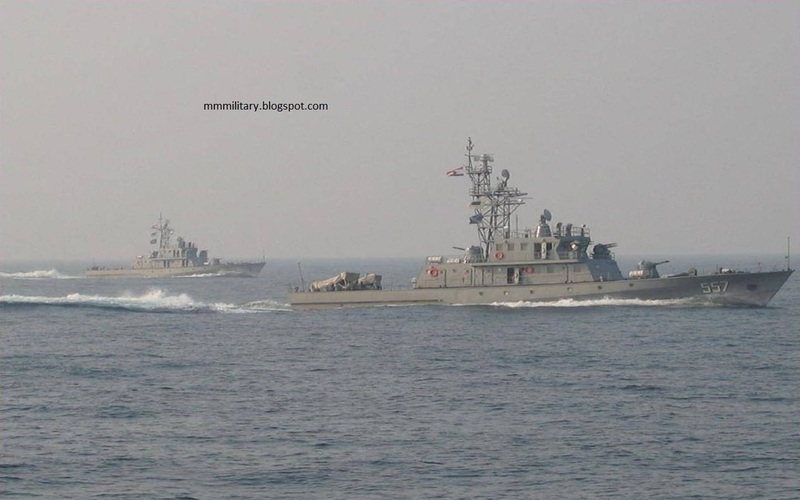 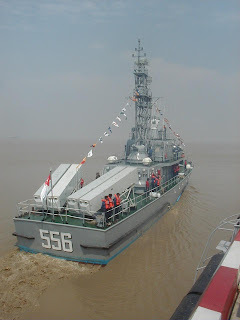 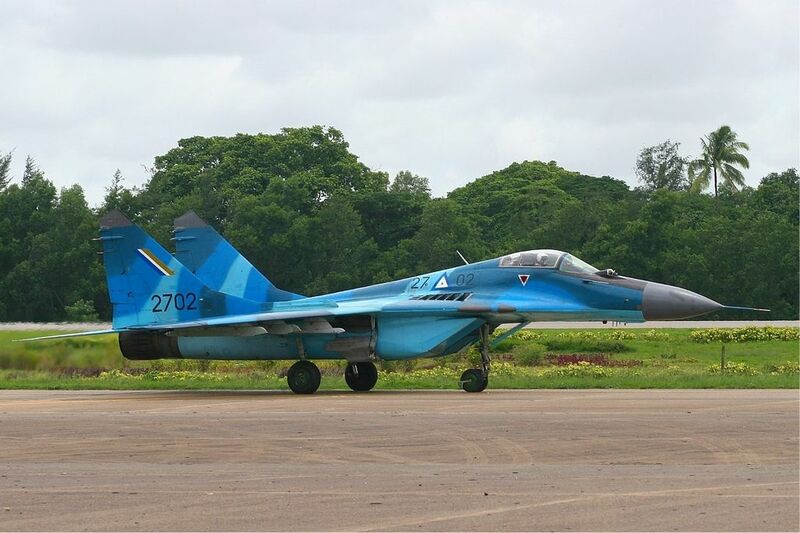 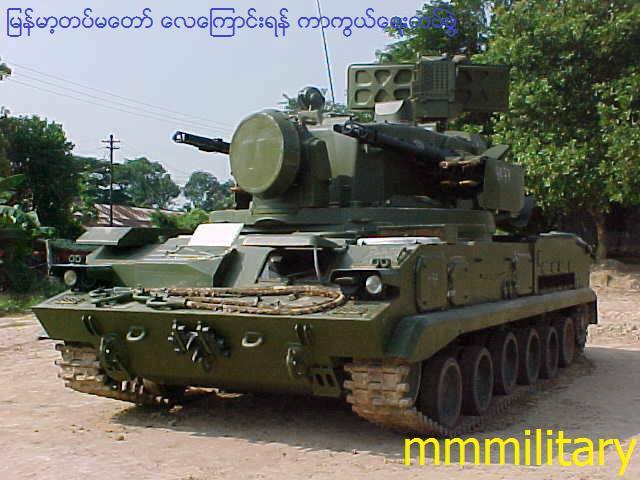 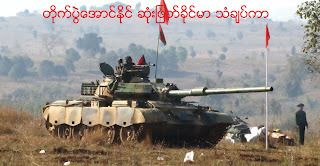 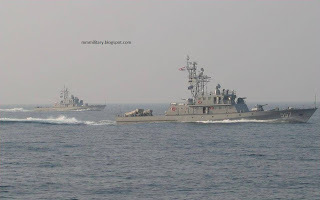 BA-84 towed Myanmar made 122mm multiple rocket launchers. 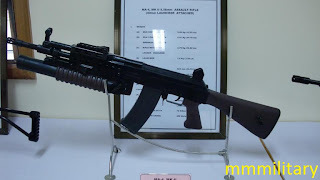 BA-100 rifle. Primarily used as a sniper rifle. 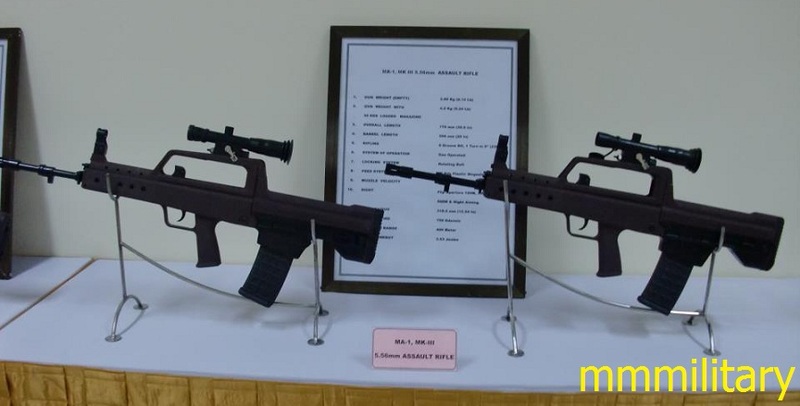 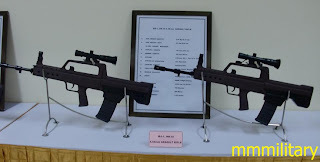 MA-1 Mk III bullpup rifle. MA-3 carbine. Carbine version of the MA-1 assault rifle. 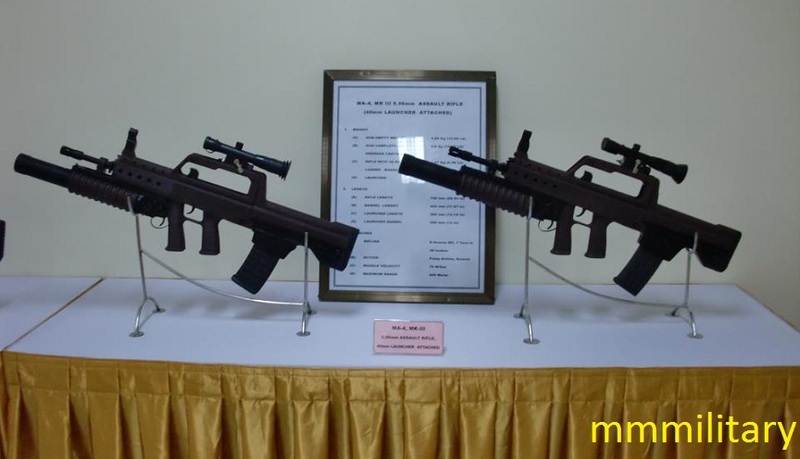 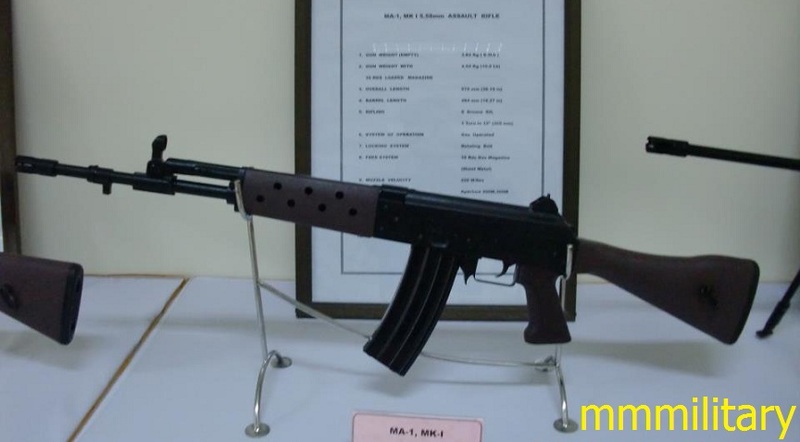 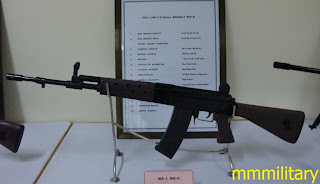 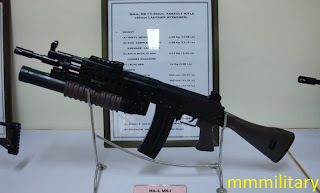 MA-4 assault rifle. 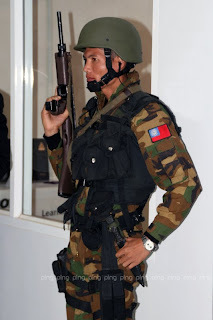 Basically a MA-1 with a 40mm grenade launcher.